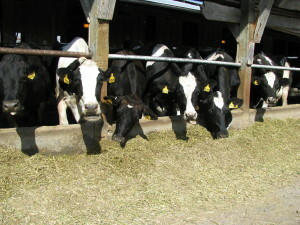 The ladies of Krainick Dairy not only produce quality milk shipped everyday to Darigold, but supply the manure that will become their bedding and Scarecrow’s Pride. 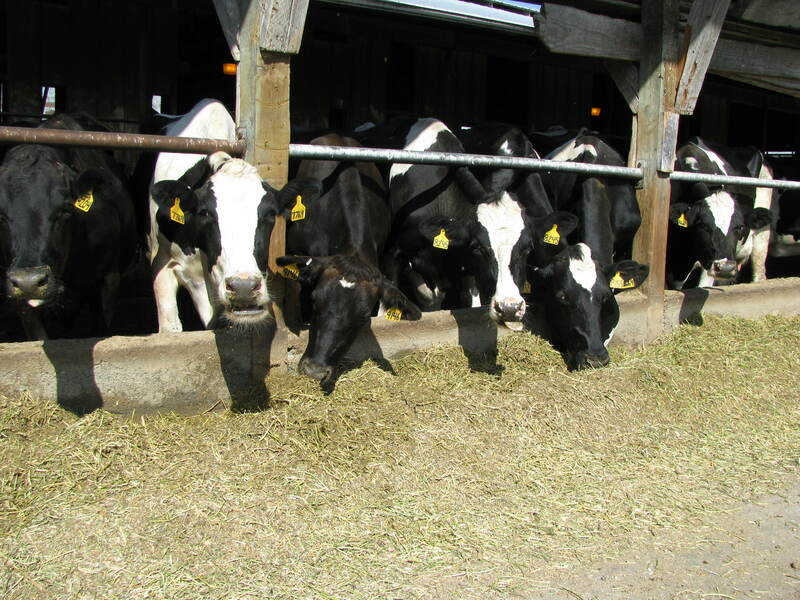 Our herd is bST free, fed Washington grown alfalfa, spent grain from some of Washington’s finest craft breweries, bakery by-products, corn, soybeans and minerals. Cow manure in then pumped from the holding tank, through the orange hoses and separated. 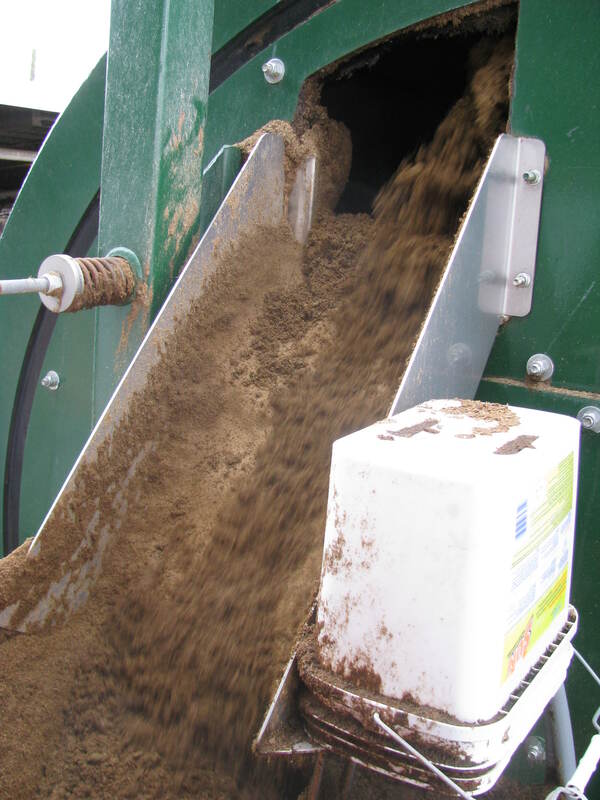 Two EYS Separators each have a circular mesh screen that send anything 1mm or larger in to the hopper and to the BeddingMaster, designed and built by Daritech of Lynden, Washington. 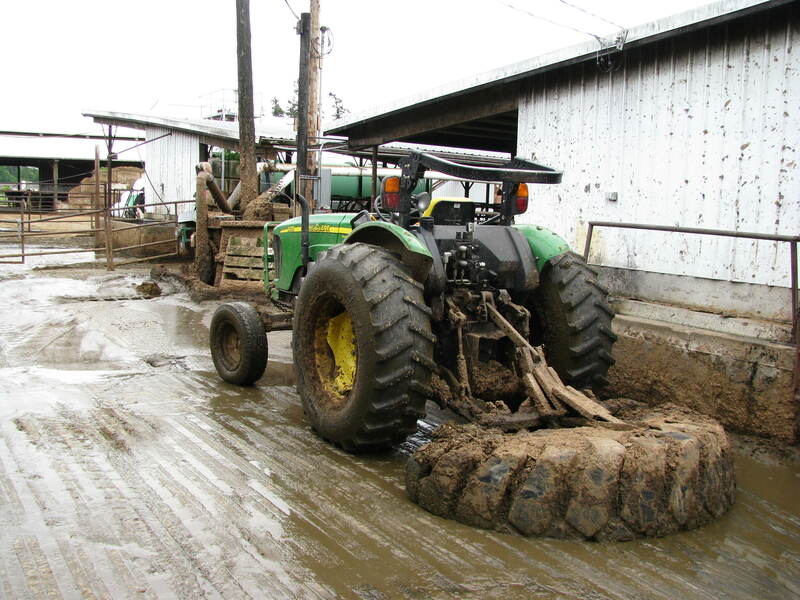 Particles less than 1mm are sent back to our manure storage lagoons where they are applied to our fields via a large sprinkler during the dryer months. The separated material spends about three days continually rotating in the BeddingMaster at about 150º to 160ºF. This temperature, along with a blower insuring ample air supply allows aerobic bacteria to proliferate. Considering the volume of material it handles, the BeddingMaster is extremely energy efficient and quiet. It operates on four motors totaling 29hp. 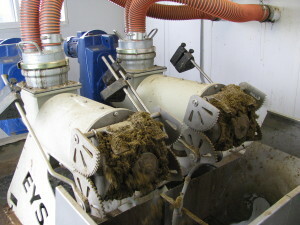 This machine was commissioned on July 7, 2010. We have not had to purchase additional bedding since. For more information about the BeddingMaster, click here to visit Daritech’s website. After spending three days in the BeddingMaster, Scarecrow’s Pride is pushed out of the back of the vessel by wetter, heavy material entering in. 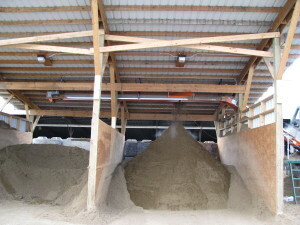 Scarecrow’s Pride is immediately sent to one of two covered bays where it is either used for bedding for our cows or sold as Scarecrow’s Pride. Here is one of our cows lying on Scarecrow’s Pride. Underneath this bedding is a canvas covered mattress filled with shredded recycled tires. Since implementing the BeddingMaster, our herd’s health and milk quality have actually improved as it is now affordable to bed our cows heavier and more frequently. 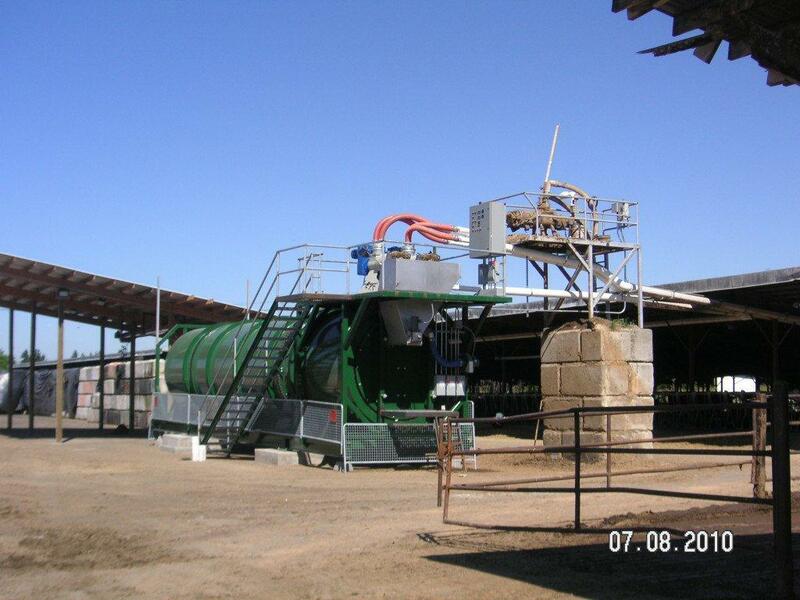 Often, we hear comments from inspectors and other vendors on the cleanliness of our herd. And, we no longer have to purchase and dispose of wood shavings! 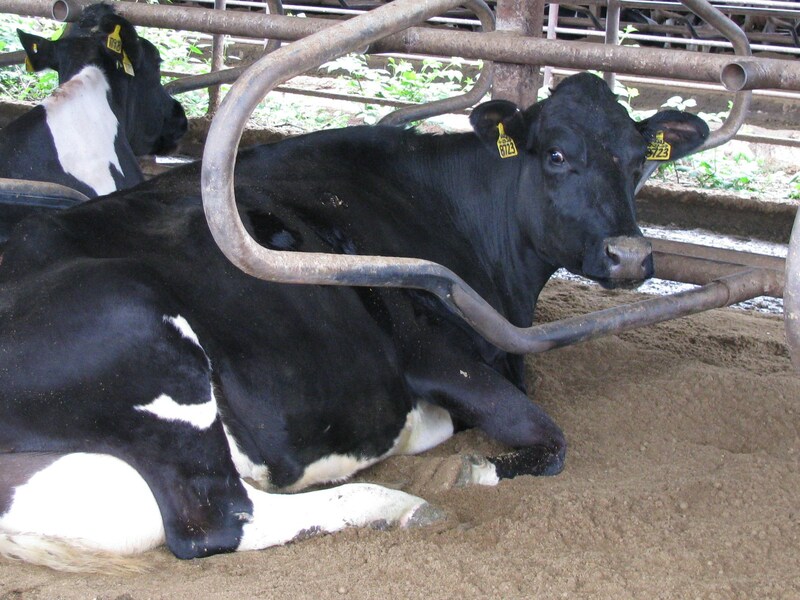 Once the bedding this cow is laying on becomes soiled, it will all be removed from her stall and sent to the 20,000 underground tank where the recycling process starts over again.